Chocolate & coconut is one of my favorite combinations. 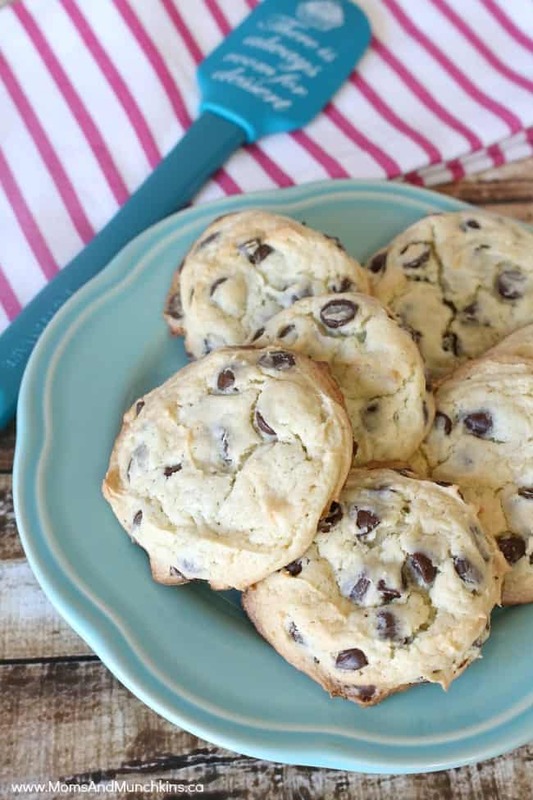 Mix those in with a cake mix and you have one delicious cookie recipe! 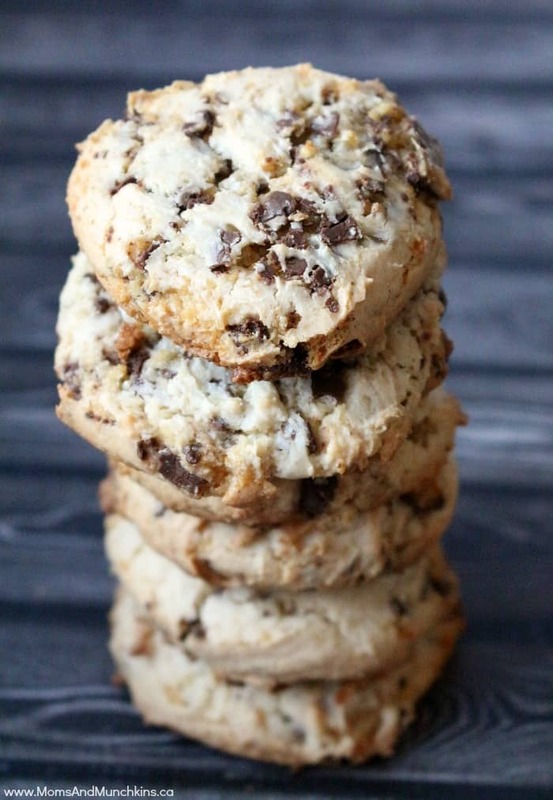 This Chocolate Coconut Cookies recipe is incredibly easy to make. It uses just 4 ingredients and bakes in about 10 minutes. Less time baking means more time for eating! To drop my cookies onto the cookie sheet, I use a batter scooper that’s about 2 tablespoons in size. With that size of cookie, I bake them for 10-12 minutes (until the edges are slightly starting to turn brown). For cookies that are 1 tablespoon in size, your cooking time will be about 8-10 minutes. When taking these cookies out of the oven, let them cool completely on the cookie sheet before eating or storing in your cookie jar. For the chocolate coconut bars in this recipe, I use Dare Ruffles (a Canadian brand) but something like a Mounds candy bar would be very similar. This recipe makes about 18 large cookies or two dozen smaller cookies. In a large bowl, combine cake mix, eggs and vegetable oil. Beat until well mixed. Stir chocolate coconut bar pieces into batter. Scoop & drop cookies onto an ungreased cookie sheet. Bake 8-10 minutes for smaller cookies or 10-12 minutes for larger cookies. Once out of the oven, let the cookies cool completely before removing them from the cookie sheet. Love cookies made with a cake mix? 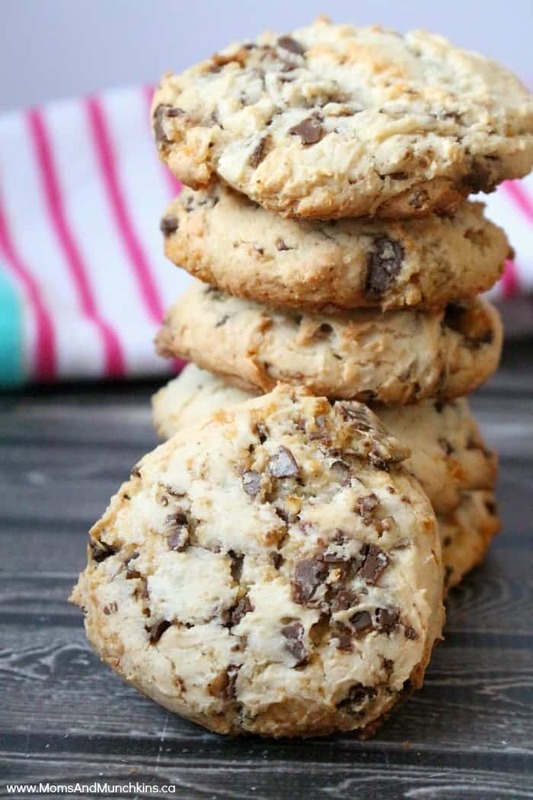 Check out these Chocolate Chip Cake Mix Cookies for a delicious after school treat! For more tasty recipes, check out our Recipes page. Follow us on Facebook, Twitter, Pinterest and Instagram for the latest updates, free printables and more! 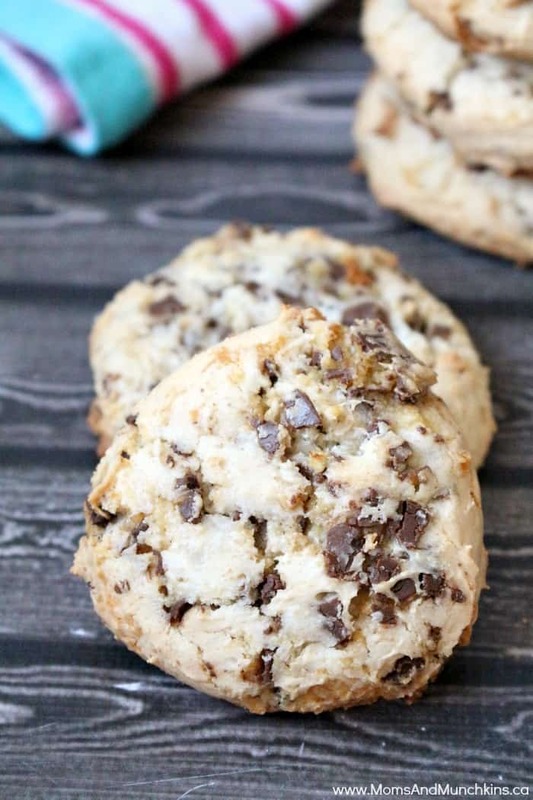 I love coconut therefore Chocolate Coconut Cookies sound like a great combo. I will definitely use this recipe. Most of my household members dislike coconut so more for me!